Now available at select overseas retailers is the 'wool snake' Air Force 1 High Premium. 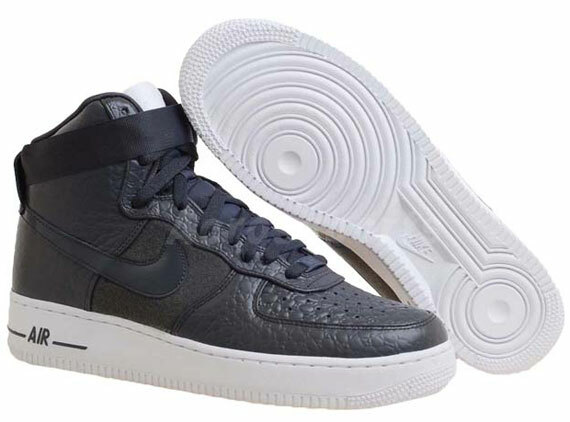 First previewed last month, we bring you yet another look at the 'wool-snake' Air Force 1 High Premium. Making use of an interest combination of premium materials, this latest High top has unexpectedly caught the attention of many and created quite the anticipation. Creating the clean look, we see a snakeskin-like leather upper covered in dark shadow. 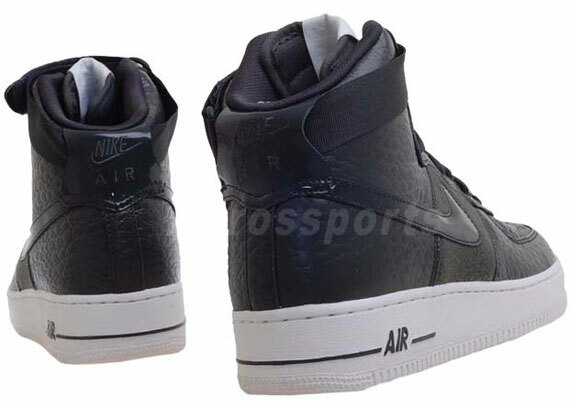 Dark shadow also covers the nylon tongue, wool underlays and patent leather Swoosh. 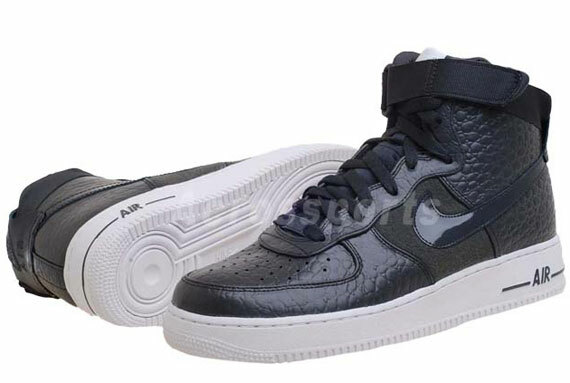 White breaks up the solid look, taking place on the tongue tag and Air Force 1 sole below. The 'wool-snake' Nike Air Force 1 High Premium is now available at select overseas retailers. Be sure to keep it locked to Sole Collector for the latest on a stateside release.